Editor's note: This piece was co-authored by Tim Graham. Sen. Ted Cruz and Sen. Elizabeth Warren are polar opposites, a Tea Party conservative and an Occupy Wall Street socialist. Then there are the similarities: Both were elected in 2012, both have Harvard on their resume and both are mentioned as presidential material. But the media's read of the two demonstrates an unquestionable slant. Both senators have shaken up the Senate over heavy spending and regulation. When Warren does it, she's promoted as a profile in courage, standing up for fairness. When Cruz does it, he's a selfish brat causing meltdowns. On the Dec. 11 "NBC Nightly News," congressional reporter Kelly O'Donnell professed amazement that Team Obama would let bankers erode regulations on their financial dealings. "A last-minute addition that surprised many Democrats, who are angry not only at Republicans but their own president, too." House Minority Leader Nancy Pelosi was angry, and "the liberal wing's newest star, Sen. Elizabeth Warren, was pushing back, too." Warren was shown proclaiming, "This is not about partisanship. This is about fairness." You could almost hear the trumpets. 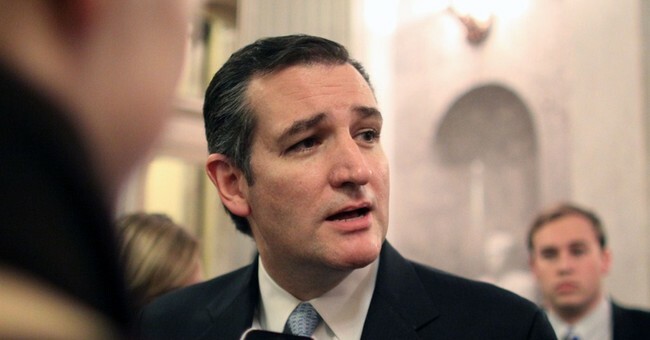 Rewind to Ted Cruz's 21-hour speech against Obamacare. On Sept. 24, 2013, NBC anchor Brian Williams announced "critics have called him crazy, irresponsible, even dangerous, but others find him courageous." The same Kelly O'Donnell saw it just as those critics: crazy, irresponsible, even dangerous. "Forty-two-year-old Ted Cruz, in the Senate just eight months, held up all of Congress's work to make his point." He was going to damage the Republicans: "Cruz fires up the conservative party base, but also frustrated some Republicans, who worry that his personal aspirations could risk damage to the Republican Party brand." William Jacobson at the blog Legal Insurrection found another example in The Hill newspaper, reflecting the Capitol's own tilt like a funhouse mirror. His examples were less than 24 hours apart. Warren drew the Dec. 12 headline "Warren makes her mark," and on Dec. 13, the headline was "Cruz center of Senate meltdown." The articles even had the same author, a hack named Alexander Bolton. Bolton began by promoting Warren: "Sen. Elizabeth Warren's crusade against the $1.1 trillion spending bill backed by the White House firmly establishes the Massachusetts populist as a powerful player in Washington." He found a professor from Massachusetts to proclaim she demonstrated a better feel for her party's base than the Senate leadership had. "It could also reverberate in the 2016 presidential race, which liberal Democrats are dying for Warren to enter as a rival to former Secretary of State Hillary Clinton." The very next day, the same reporter started in a wholly different way: "Sen. Ted Cruz, the firebrand conservative freshman from Texas, has blown up the Senate leadership's plans to have a peaceful weekend by forcing round-the-clock votes on President Obama's nominees and the $1.1 trillion omnibus." Bolton brought in an unnamed senior Senate Democratic aide to decry the "extreme pettiness on the part of Republicans." Bolton also bashed Cruz in his Warren puff piece: "The episode vaulted him into the national spotlight and made him popular with many conservatives. But many of his colleagues were furious over what they saw as politically selfish behavior." Reporters couldn't find a Democratic leader who is furious over Warren's so-called selfish behavior when she stands on her leftist principles on big banks? All this provides a precise GPS location for our liberal media. To them, Ted Cruz is a dangerous extremist, but Warren is their heroine -- compassionate, professorial and politically and economically correct. Anyone who expects objectivity from the press is badly out of touch. Look for this pattern throughout the 2016 campaign.